I first became involved with Curiosity shortly after starting my third year of graduate school in the fall of 2011. My graduate advisor was selected to join the mission as a Participating Scientist, and he enlisted me to help analyze orbital data over Mt. Sharp as part of that role. In particular, I was tasked to examine data from the Compact Reconnaissance Imaging Spectrometer for Mars (CRISM) to see what minerals Curiosity might find when she landed and, importantly, where exactly she should drive to visit the best exposures. One of the most the significant things I found was the signature of the mineral hematite (Fe2O3) associated with the feature we now call Vera Rubin Ridge. Many collaborators and I spent the winter and spring of 2012 -- the time between launch and landing -- working out the geological implications of this discovery as best we could using orbital data, and beginning to ponder the specific observations Curiosity should make when she reached the ridge. I first presented these findings to the Curiosity science team on sol 15 of the mission (or August 20, 2012 Earth time). Almost 2100 sols and countless exciting discoveries later, Curiosity is now poised to drill at the exact spot we first detected the strongest hematite signature over seven years ago. We've named the new drill target "Voyageurs" after a National Park in northern Minnesota. I love this name because it reminds me we truly are a team of voyagers, participating in a mission of exploration and discovery. The data we collect from this sample will help us better understand the environments that shaped Mt. Sharp over time, and, on a personal level, it will allow me to test some of the hypotheses I first started to formulate as a graduate student back in 2012. Sol 2109 will be the first sol of our drilling campaign at Voyageurs (very close to the former target "Stranraer" that we examined back around sol 2004). The main focus of the sol's plan will be contact science of the site, including DRT, MAHLI, and APXS observations. 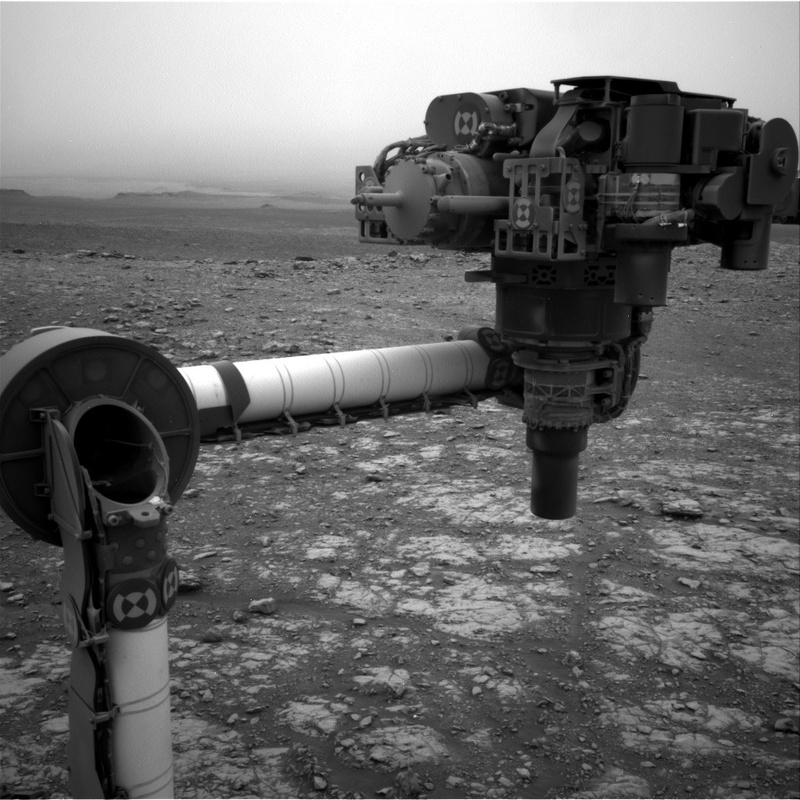 We'll also take a Mastcam documentation of yesterday's AEGIS target and do some ChemCam calibration activities. As always, we will continue to take environmental science observations to monitor the ongoing dust storm. As you can imagine, I am quite anxious and excited to see what we find!